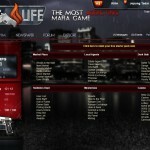 LifeCrime is a web-based browser game that takes you to the mafia world. LifeCrime includes committing crimes, gambling in casino, joining a family, and so forth. In the airport you can pick out a destination and fly to other locations. Smuggle drugs, earn profit and try not to get caught by the police. Killing an opponent assumes that you know his location and that’s why you need to hire a detective. Public auction allows you to sell items and earn money. Insane Gangsters is a free text-based browser game about mafia world. Fight against other players and for better defense you can also hire bodyguards. Create a gang or apply for an existing gang. Commit various crimes such as stealing a car, robbing a casino, stealing money etc. Complete missions or try to open the safe by choosing the right door first. 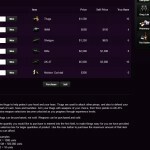 You can gamble in casinos, upgrade your armory and buy/sell drugs. Increase your skills and reach the hall of fame. Interested? 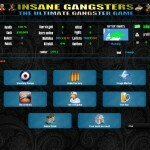 Visit Insane Gangsters website! Camorra World is an online mafia browser game. You can commit easy robberies which include robbing a store, a petrol station and junkies. You can also test your skills and commit difficult robbery such as robbing the amusement park, casino or restaurant. Before intending to steal a car you should train your driving skills and take driving lessons. Buy good weapons, practise killing criminals, challenge others to street race, deal with drugs and gamble in casino. Interested? Visit Camorra World website! While playing Street Empires, you can join the mafia world and become a pimp. One of the most popular feature is attacking other players. Beside living a life of a criminal, you can also get involved in the business world. For instance, you can take a look at the investor section, business section and enterprise agents. Start a crew to form a small group with other players and help each other when it’s necessary. You can visit the street dealer to purchase drugs or liquor. Interested? Visit Street Empires website! Turning Point is a free role-playing game with a possibility to commit crimes. Increase your stats in the gym to make you stronger. Read newspapers to be aware of the events. At local school you can find lots of courses to acquire new skills. Under fight section you can see a list of all the players, select an opponent and start the fight. If you see someone in jail, you can make a good deed and bust them out of prison. Interested? Visit Turning Point website! Samurai Assault is a Japanese themed role-playing game. Go to interview to get a job in military, local restaurant, politics or choose another career field. There’s an opportunity to join a battle ladder. This means that you have to fight and try to reach in the top 3 to earn prizes. Back alley shop is an exclusive and expensive shop where you can purchase special items. Search the streets to earn money and gain experience or visit the crafting centre to create new items. Interested? Visit Samurai Assault website! 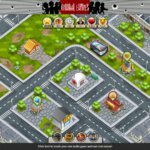 EpicMafia is an innovative real-time mafia game with main priority on bringing the community members closer to each other. Advanced live chat system and modern round-based game. Including a huge community, an active forum, unique roles, thousands of table setups, lots of mafia competitions and trophies for awards. 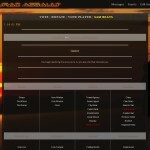 Join games, start your own game, create your role, participate in lobby chat and make new friends. Nothing like the mafia games you have played before. Mobs Life is a free text-based browser game about mafia life. If you don’t have a job, you could go to an interview and see whether you’re the right person they are looking for. There’s a variety of different jobs so you could pick out your favourite. In the gym you can train your stats such as strength, guard, agility and labour. Battle ladder is a place where you can join various leagues. 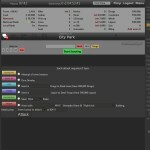 Each league has a level requirement so gain levels to be able to join the best leagues. Interested? Visit Mobs Life website! Bloodymafia is a free text-based browser game set in a dangerous mafia world. You can become a real gangster, because you can commit crimes and live a criminal life. 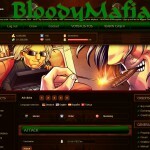 Many opportunities and lots of activities, so Bloodymafia is truly addictive. Nevertheless, some specific actions are only available in certain countries. For example, searching for mysterious packages can only be done in France. In the boxing club you can increase your strength. Pimpin is an online roleplaying game with criminal action. One of the illegal actions is producing drugs which is available in a drug laboratory. Simply add a number of turns and you get a certain amount of smack. There’s also an opportunity to buy smack, but keep in mind that smack isn’t available for selling. The better equipment is available under gun mart section where you can buy or sell weapons. Don’t forget to keep an eye on your cash. 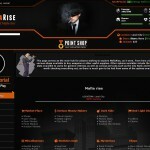 Mafiarise is a web-based roleplaying game set in the cruel mafia world where only the strongest survive. Increasing your stats can be vital for any activities you decide to do in the game. Searching the streets allows you to explore the world and find useful items or cash. However, not every day is a lucky day, so there’s also a possibility to find nothing. Invite opponents for battles by choosing a player nearby your level. So get into fights and feel your power. NationWars gives you a possibility to live in a chaos. You have to make the right decisions if you want to survive. If committing crimes is what it takes you to survive, would you do it? Explore the world and find out whether you have right skills. Search the streets where it’s a great opportunity to earn extra money, but you can also get attacked by a random gangster. Purchase a car to participate in street races, collect diamonds, buy a nice house and much more. CriminalEmpires is a free mafia-based browser game with criminal activities. Lots of features such as upgrading Money Press, committing crimes, gambling in casino, increasing mafia power, producing ammunition, buying troops, attacking other players and completing different challenges. You can join a family or start your own family. You can also collect meth for your family and receive a part of the revenue. Upgrade your hospital to get more health and become more successful during attacks. There are various jobs you can complete and earn diamonds as a reward. Unlock new possibilities, increase the capacity level and simply become the best. UK-Mafia is a text-based browser game with mafia setting. The game includes a lot of various crimes such as smuggling, killing, stealing cars/boat, mugging, kidnapping, selling drugs etc. You can visit bullet factory to purchase certain amount of bullets. Gamble and try out your luck in casino or get yourself a drink from the bar. Visit black market to buy weapons, bigger garage, marina, planes or increase your item storage. You can travel to other locations, create a family and trade items. 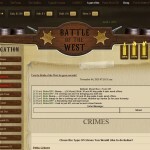 Battle of the West is a free to play text-based browser game where you can start a new life. It’s a game where you must train your stats to survive in the world. On the main street you can find the stagecoach, dwellings, the carnival, gold safe, and so forth. In the alley you could visit the canyons, the stable, local school etc. If you want to send someone to prison, you can bribe a sheriff. If the sheriff accepts your offer, he will jail a selected player. Interested? Visit Battle of the West website! Modern Mafia is a free browser game where you can see whether you have what it takes to belong to the cruel underworld. You can acquire new skills by taking courses that are all related to crimes. These courses can help you to survive in the city. Attack list includes all the players, their level, location and how much money they’ve got. Simply pick out any player and begin with your attack. Gain experience, earn money, upgrade levels and become the best. StreetGangstas is a role-playing game including mafia world. Start your ruthless gangster life in San Jose that contains lots of different places to explore. Apparently one of your goals in the game is surviving which means you have to train your stats. There’s a big list of crimes you can commit. However, the most difficult crimes will be available after you gain more nerve. Take advantage of having your own garage and keep precious vehicles in there. Sin City Hustler is a text-based browser game that is meant for adults only. This is a game about fabulous Las Vegas where you can have crazy adventures. You can make great friends, but you can also add some players to your enemy list. Wander around the city to go shopping, play blackjack, purchase vehicles from a car market, and so on. Before committing a crime, you can see the chance of success. Assess the situation and commit crimes, so you wouldn’t go to jail. There has been a virus break and the zombie wars started as a consequence of the catastrophe. You have to fight hard to survive in the cruel world. There is a list of legal and illegal crimes, so it’s your decision if you want to get involved in the criminal life. Join a gang to make new friends. Earn money to be able to purchase equipment, a house, vehicles and lots of other items. Live a risky life and gamble in casino where you can lose all your money. Interested? 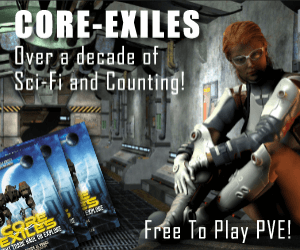 Visit The Zombie Wars website!